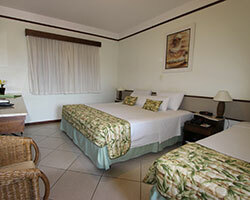 The Hotel has 52 luxury rooms, decorated and equipped with air conditioned, flat TV, dvd, telephone with free voip calls, safe box, unlimited high speed Internet access and queen size beds. 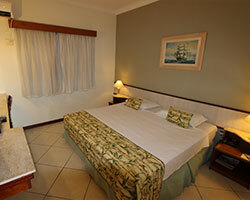 And the breakfast is included in all kind of accommodation. 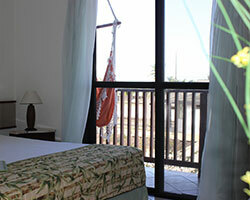 Ilhas do Caribe offers also to you and your family cradles, triple room and suites with balcony. 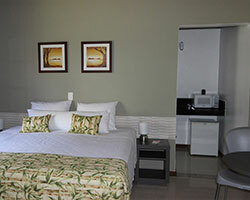 Comfort and charm for you and your family worrying only contemplating all the wonderful things which Guarujá offers.